Irate residents of Ledig near the Sun City resort outside Rustenburg, refused to allow North West Local Government MEC Collen Maine to speak to them on Wednesday. “We could not allow the MEC to speak. We agreed yesterday (Tuesday) that all arrested people must be released by 10am (Wednesday), before the MEC address us,” said community leader Pakaza Mdluli. Residents have waged a week-long protest over alleged missing tribal funds. A number of protesters have been arrested during the protests which centre on the alleged mismanagement of some R527 million of tribal and community funds. “The issue about DJ (Ditsele Phologoane, the chairman of the Bakubung Economic Development Unit) is not paramount. The key demand is for all arrested people to be released,” Mdluli said. After the failed meeting, some residents chanted : ” Phanzi Phologoane, Phanzi” (down Phologoane, down), and as some headed home, a group of youngsters went to barricade the road. The police fired rubber bullets to disperse them. Some residents now feared the protests would soon spiral out of control. ” If this toyi-toyi does not end now, criminal elements would use it to advance their activities. 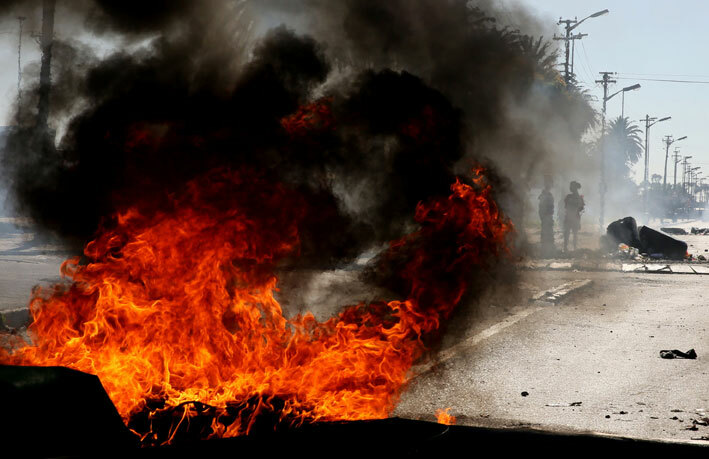 People will be killed all in the name of protest,” said Eugene Ngima, 60. He said parents were afraid to send children to school. “Will we be proud if our children failed at the end of the school year?” he asked. A shop was burnt down on Tuesday night, at the Ledig small industry, another shop was torched at the weekend and four foreign-owned shops were looted.